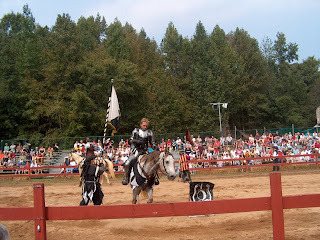 “This is Robin Shaw from WRAG News, and today we have one of the participants in Friday’s big wedding celebration at Renaissance Faire Village and Marketplace. Jessie Morton has been working at Myrtle Beach’s only Renaissance Faire since she left college. 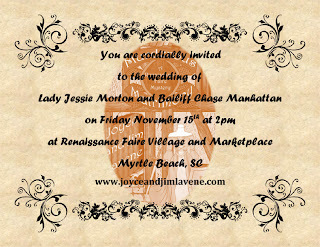 She’s marrying her sweetheart, Village Bailiff Chase Manhattan." Jessie: "That’s a long story." Robin: "Does the Village ever seem unsafe to you, Jessie? I mean, two murders in less than a month. What does that say about the place you live?" Jessie: "I think it says that ten thousand people visit the Village every day, and hundreds of people work there. We’re like any other small community. Sometimes there can be a few rotten apples." Robin: Oh look! 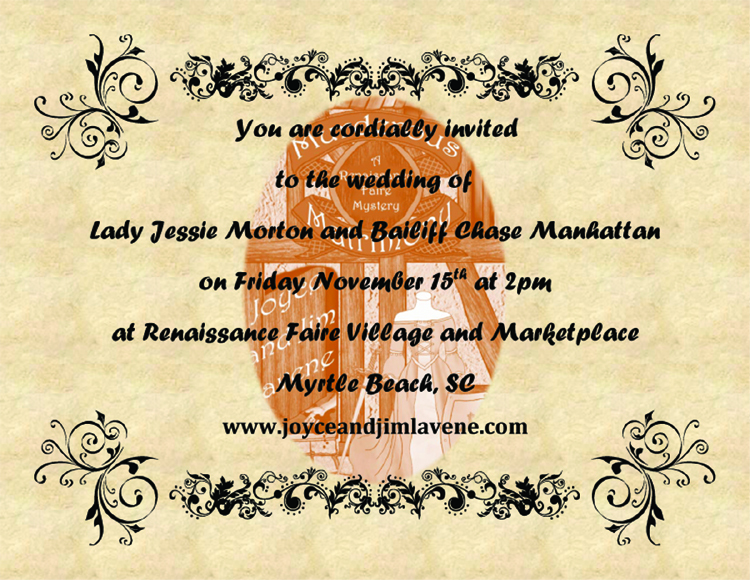 Here’s the love of Jessie’s life now—Chase Manhattan! Welcome Bailiff! Let me ask you a few questions about your wedding." Chase: "Thanks, but I can’t stay. Jessie, I need your help finding Wanda. I think she hid Queen Olivia’s crown." Robin: "Is that the dead nurse – The Blue Lady? Is she here now? Can we talk with her?" Jessie: “Wanda - go home!" Robin: “Why is that camera floating? Can someone shut that thing off?" 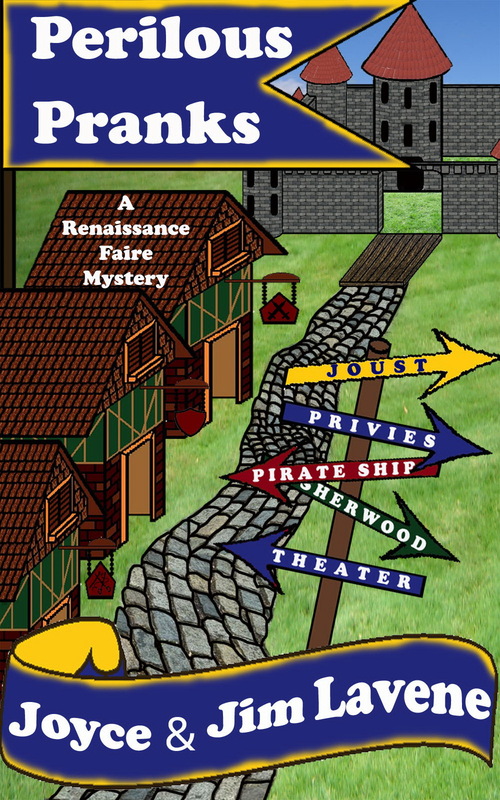 Come to the Renaissance Faire for the wedding of a lifetime on Friday, November 15th. 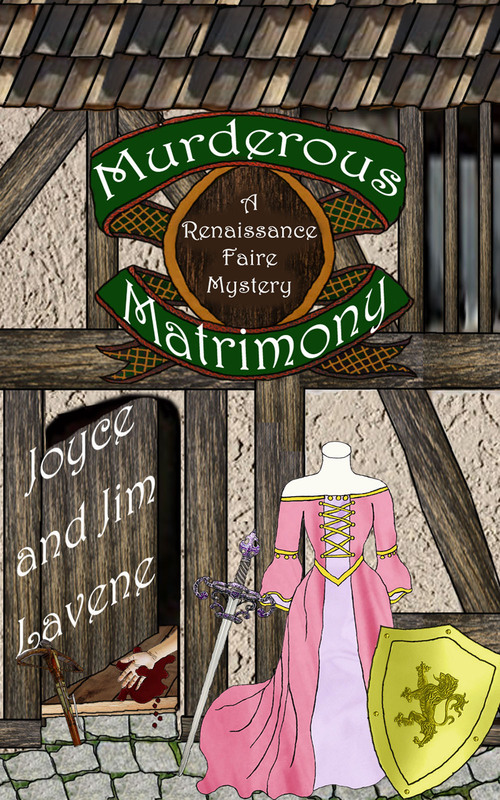 Join us at www.facebook.com/joyceandjimlavene for a prize-filled virtual wedding at 2 pm as Murderous Matrimony is released. Hope getting hitched goes off without a hitch.